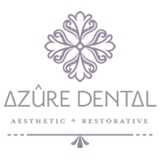 Azure Dental (San Francisco) - Book Appointment Online! PLEASE NOTE: We require 48-hours notice for any rescheduled or cancelled appointments. Failure to do so may result in a $75 fee. Dr. Elena Meyliker employs the most advanced dentistry, which means only the most advanced equipment will do. She takes care to select tools and technology that are up to the task. Just because our equipment is highly advanced doesn’t mean our clients’ quarters lose the serene and soothing feel. We feel a visit to the dentist should be a wonderful experience, not something you try to avoid. That’s exactly why we put so much effort into creating a memorable experience that we hope you welcome and even enjoy. Not only will you enjoy our ambiance and décor, but we’re betting you’ll also enjoy the personalized and compassionate treatment each client receives from our experienced staff. Very nice. Understood my dentist anxiety and tried to go slow and fully explain everything so I don’t panic.